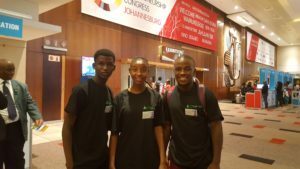 The first Global Entrepreneurship Congress on the African continent was held in March in Johannesburg, attracting over 5 000 delegates. 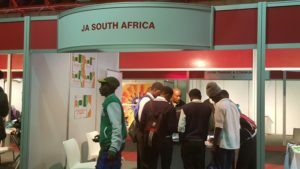 JA South Africa had a stand with our top funder, Transnet, and three of our alumni were amongst the 50 finalists to pitch to investors. 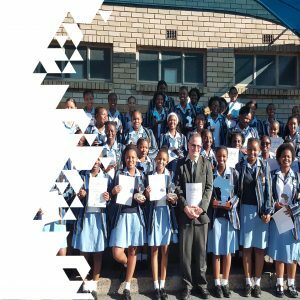 The JA Entrepreneurship Academy and Youth Enterprise Development Programme were both Services SETA accredited at NQF Level 4. 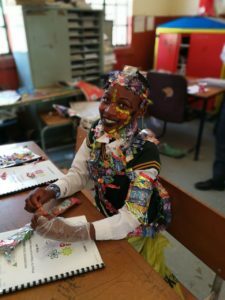 A pilot intervention was initiated, aimed at exposing the same cohort of learners to successive JA programmes as they move through primary school and high school, at Elethu Themba Combined School, in the South of Johannesburg. 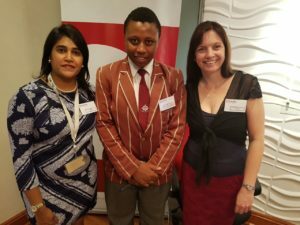 JASA participated as a thought leader at the Trialogue CSI Conference in May. 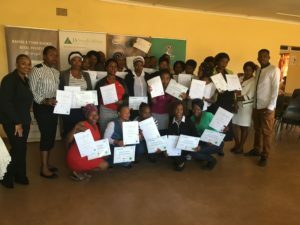 The implementation of the Youth Enterprise Development Programme for women, in partnership with Mastercard and Siyafunda Community Technology Centres proved to be successful, with 16 new businesses starting during the programme and more than 60% of the programme participants enrolling for business mentorship. 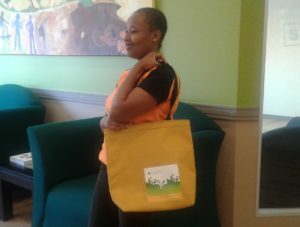 We commissioned one of the alumni to make shopping bags for us to be used as corporate gifts. 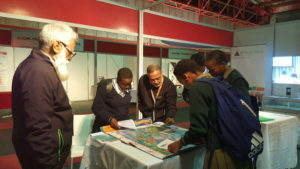 The Mastercard Johannesburg team also visited the programmes and went on the field trip with the students. 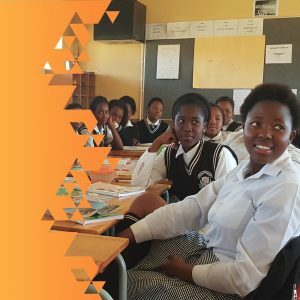 On Mandela Day, the More than Money Programme, in partnership with Absa and the Boys & Girls Club SA, reached 90 Grade 5 to 7 learners. 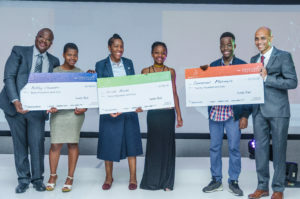 Our year ended on a high note with JA South Africa hosting the JA Africa Regional Competition of the Year, which took place from 6 – 8 December at Gold Reef City in Johannesburg. 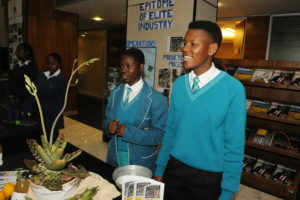 Over 40 student representatives from 11 African countries competed for the sought-after titles at the annual competition by pitching and presenting their business products or services to a panel of judges composed of business professionals and influencers from across South Africa. 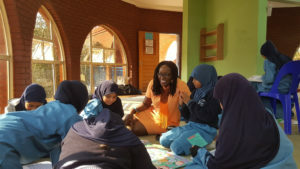 This event took months of preparation and working in close collaboration with the wonderful JA Africa team, based in Ghana. 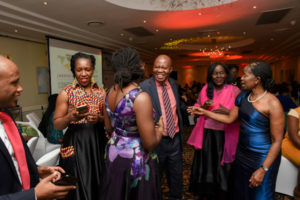 The climax of the week was the awards dinner, where the winning teams were announced. 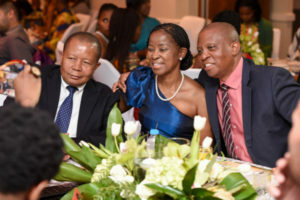 We were also honoured to have Johannesburg Executive Mayor Herman Mashaba addressing us, as well as entrepreneur, Lebogang Chaka of Afro Visionary Legacy. 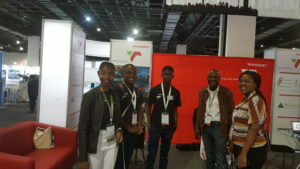 Doing a JASA Success Skills Programme and gaining a certificate, in addition to having the experience of job shadowing at the Bank of Tokyo-Mitsubishi really helped Karabo Prince Maluleka to get a holiday job he applied for at the end of Grade 11. He also gained the confidence to handle himself in a professional environment. 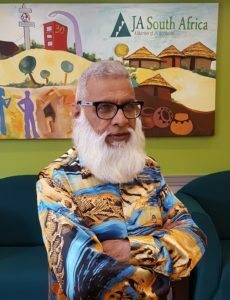 “It was also interesting to interact with people from different backgrounds and different cultures and making sure that they are comfortable with me,” he explained. We are particularly pleased to have already secured around 70% of our budget for the New Year and are grateful to our sponsors for continuing to support our cause. 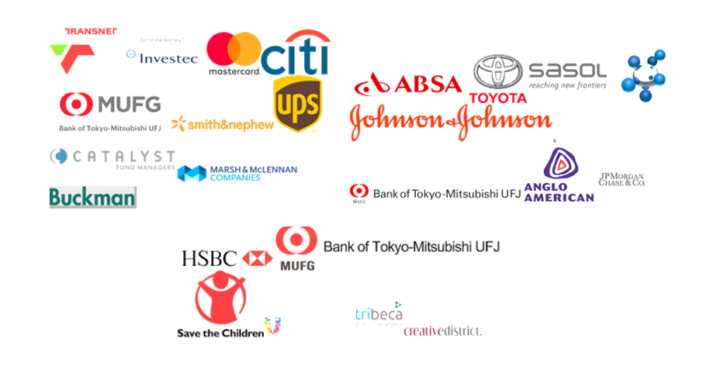 In 2017 we managed to retain most of our previous funders while reintroducing funders on a larger scale and welcoming new funders, including Investec Properties, Catalyst Fund Managers, Marsh & McLennan Companies and the Bank of Tokyo-Mitsubishi. 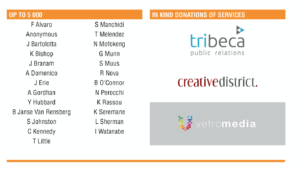 We are truly grateful for their commitment to our programmes. 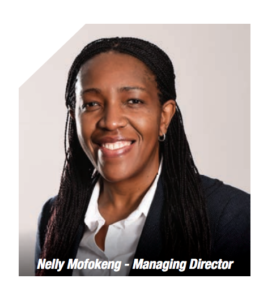 Our partnership with Investec soared to greater heights. 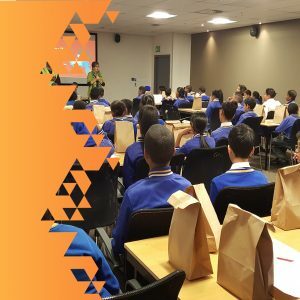 The top 10 winning ideas from previous iterations of the Junior Innovators Competition started additional training and product development workshops in partnership with the SABS Design Institute. 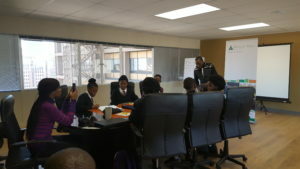 Investec also extended the scope to include mentorship – in partnership with Khulisa Social Solutions – for 10 learners who attended the Entrepreneurship Academy Programme at Lamula Jubilee Secondary School in Soweto. 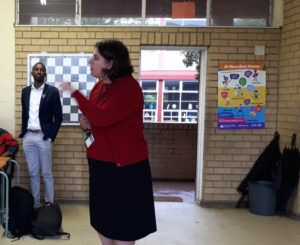 We continued to nurture relations with the Department of Education and were particularly pleased to collaborate on the Gauteng Department’s Schools of Specialisation project. 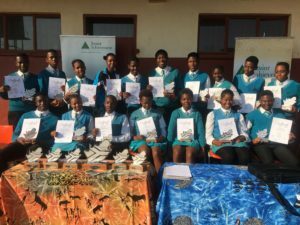 This entailed implementing the Be Entrepreneurial and Enterprise programmes at Magaliesburg Secondary School and Pace College. 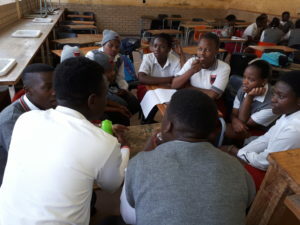 We also initiated a pilot programme aimed at creating a pipeline to move learners from training to enterprise, where one cohort of learners goes through successive JA programmes as this group moves from primary school to Grade 12, at Elethu Themba Combined School in the south of Johannesburg. 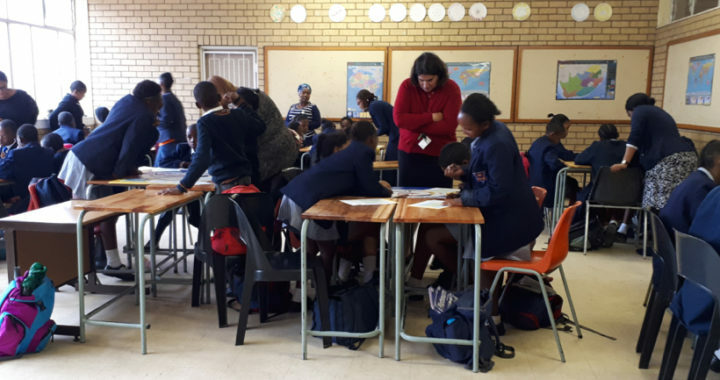 Efforts to extend relations to the Mpumalanga Department of Education are also starting to yield positive results, with their review of JA programmes and work on aligning them to the school curriculum. The year in review was not without its setbacks though, specifically in the reduction in student reach. 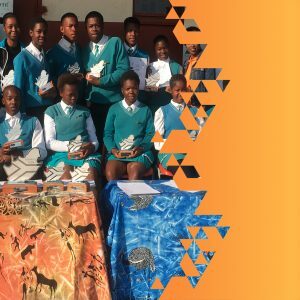 This was due to challenges with learner retention and reduced funding for our high school Enterprise Programme. 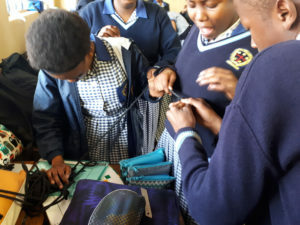 In addition, there was the change in orientation of sponsor Mastercard from in school programmes to the out of school Youth Enterprise Development Programme, focusing on young women.Though the reach was smaller this programme yielded great results and fantastic media publicity. 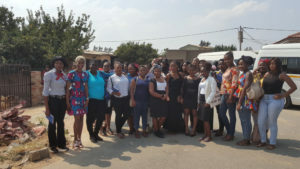 More than 60% of the participants enrolled for the six-month mentorship programme that follows the course, which supports their ongoing journey of starting up or growing businesses. 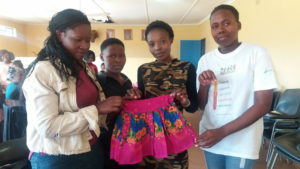 We look forward to sharing exciting stories as these young women progress and even become job creators. 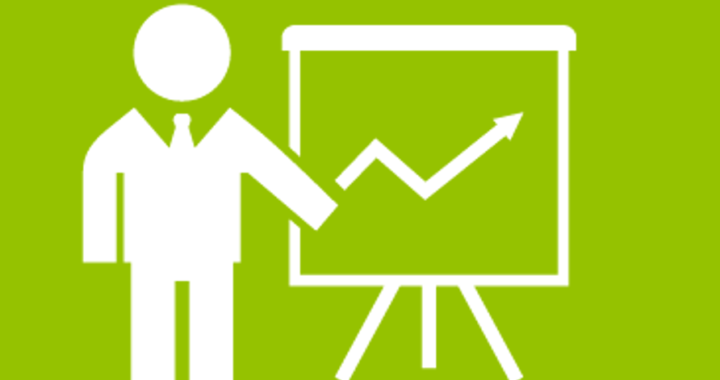 We are also pleased to note the overall improved product choice and profitability of the mini companies and that the increase in knowledge retention between pre- and post-tests has been maintained. 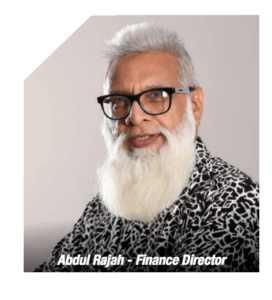 I would like to take the opportunity to pay a special tribute to Abdul Rajah, who retired in July after serving JA South Africa as Finance Director with absolute commitment for 26 years. 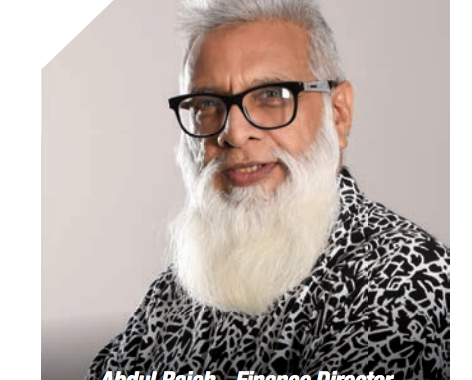 We will forever cherish the hard work he put in to ensuring the sustainability of the organisation. We also extend a warm welcome to Deidre May who joined us as Communications and Marketing Co-ordinator at the beginning of June and has already proven to be a great asset. 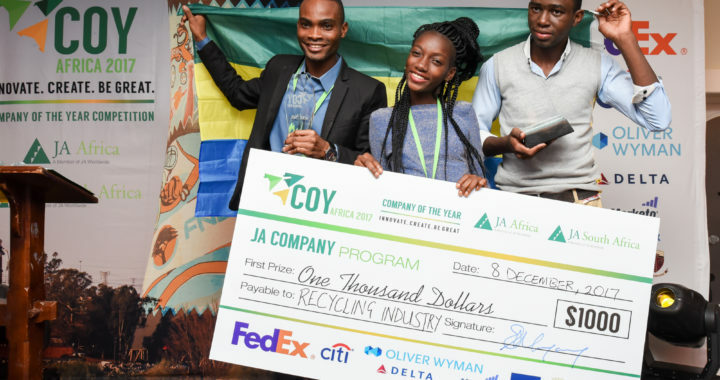 We ended the year on a high note, with the successful hosting of the regional JA Africa Company of the Year Competition, where we raised the stature of this important event on the JA calendar. 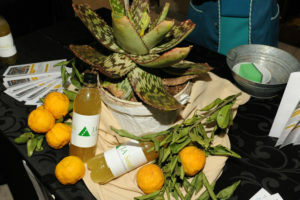 Thank you to the JA Regional Organising Committee, it was a pleasure working closely with you. 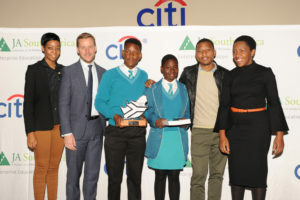 My sincere appreciation goes to our Board and JA Worldwide for their guidance and unwavering support; to the team for their consistent commitment to empowering our youth and to the JA South Africa Youth Council who work tirelessly and inspire other alumni to pay it forward. 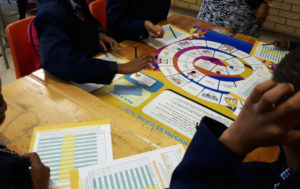 In the 2017 budget speech, alarming statistics describing South Africa’s current economic state were noted: over half of all grade five learners are unable to read adequately in any language and 75% of school leavers are left unemployed five years after entering the labour market. 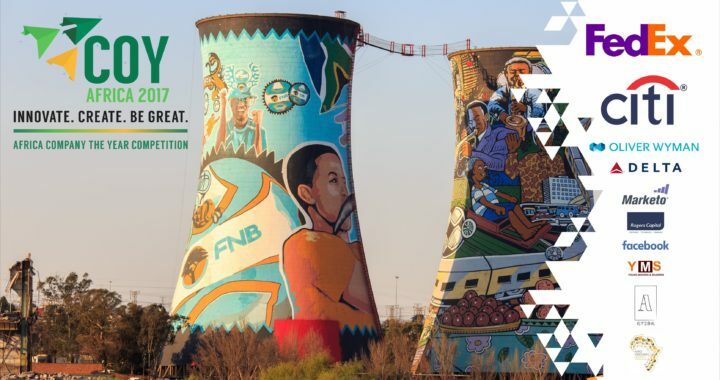 Looking at these figures in the context of the current 27.7% overall unemployment rate (as of the third quarter of 2017), JA South Africa’s mission remains at the heart of addressing this imperative. 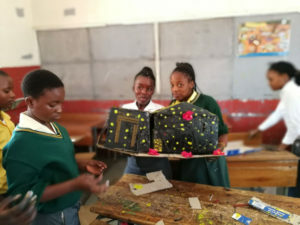 We provide engaging programmes in entrepreneurship, financial literacy and work readiness that foster confident, empowered young people who become possibility seekers and creators of opportunities. 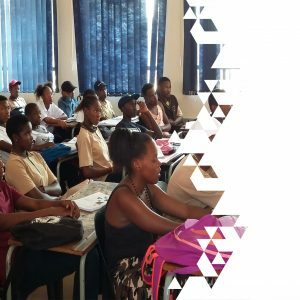 • Added significant value for participants through rigorous assessments and monitoring and evaluation. We also worked on strengthening the alumni programme as an essential mechanism to ensure consistent engagement with programme beneficiaries. 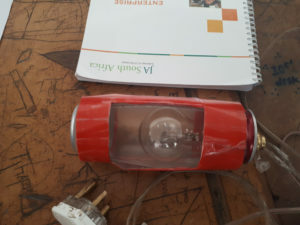 This will deliver value in terms of supplying a view of longer-term impact and extending the value by providing participants with access to additional resources. We are pleased to give an account on the progress made, as outlined in the sections of this report. More work, however, needs to be done. 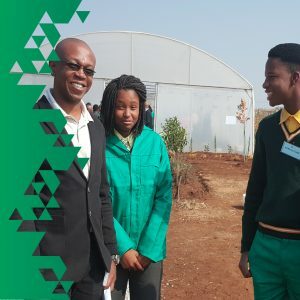 To this end, JA South Africa will endeavour to fully embrace the spirit of volunteerism and bring on board more strategic role players across diverse sectors to contribute to the economic empowerment of our youth. 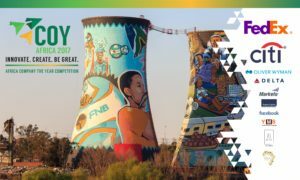 This year we had the honour of hosting the regional JA Africa Company of the Year Competition, from 6th to 8th December at the Gold Reef City Theme Park Conference Centre in Johannesburg. 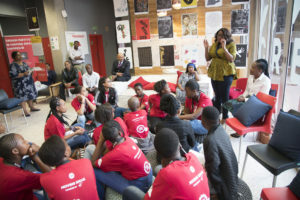 Over 40 student representatives from 11 African countries competed for the sought-after titles. 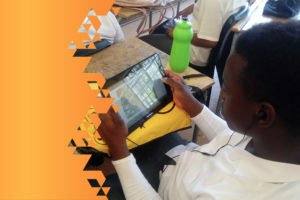 We are grateful to our sponsors and partners who graced us with their presence and inspired our students. 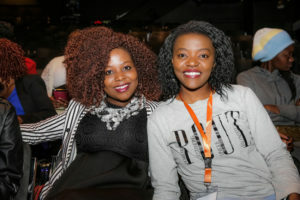 On behalf of the board, I wish to extend my appreciation to our MD Nelly Mofokeng and her able team for the hard work they put into arranging the event, attending to the needs of the young people who arrived in Johannesburg and ensuring that all guest and partners were catered for in the best way possible. Well done! 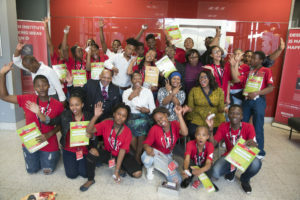 A very special thank you to our honoured guests, partners and key note speakers who graced the event with their presence and inspired us and the young people, with their key messages. 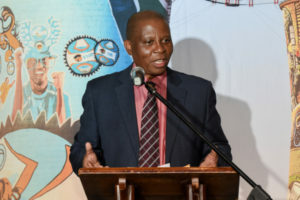 By attending, and telling the story of his life, the Executive Mayor of the host city Honourable Herman Mashaba showed his commitment and support to entrepreneurship and the work of JA South Africa. While much effort went into strengthening our Board, we sadly bid farewell to astute member Chris Lister-James, who graciously provided guidance and financial support to the organisation for eight years, through Vantage Capital. 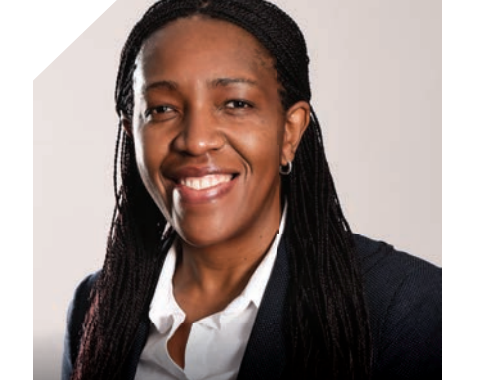 We are also excited to welcome new members Peter Crawley, CCO at Citibank SA; Mark Elliott, Division President at Mastercard South Africa and Zodwa Pakade, CEO at Manati Alternate Student Funding. 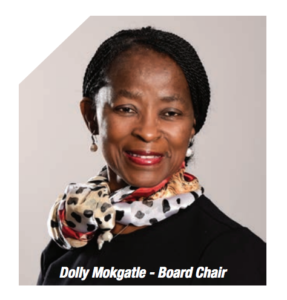 I wish to thank my fellow Board members for giving of their time, providing guidance to the team and bringing their diverse input into the strategic initiatives and thinking that goes into the more effective provision of programmes to our young people to ensure that the organisation continues to play a significant role in the sector. 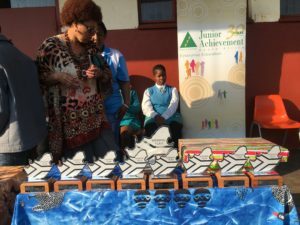 JA Africa and JA Worldwide continue to provide dynamic programmes for young people. We appreciate their support and motivation. On behalf of the Board, I wish to express sincere gratitude to our funders and partners for their ongoing and enthusiastic support. 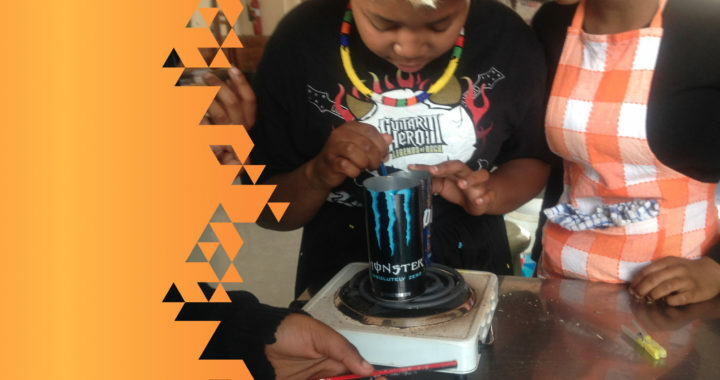 Your commitment to the broader development of our youth through entrepreneurship is highly appreciated. 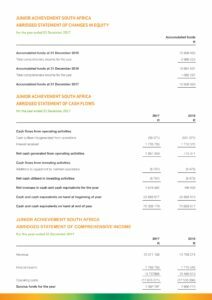 Despite the tough economic climate, we managed to secure 91% of our budgeted income for 2017. 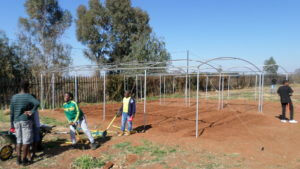 Total revenue for the year amounted to R13 737 868, which was 11.2% less than 2016, with this decrease mainly attributed to the reduced funding received for the Enterprise Programme. Through ongoing monitoring of expenditure our expenses were contained at 1% more than 2016. 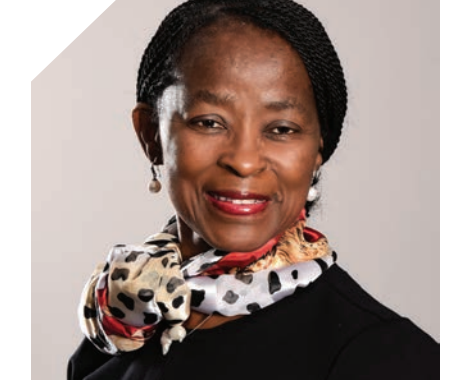 The marginal increase in expenditure takes into account the 2017 inflationary increase and reduction in programme activity costs linked to the reduction of income. We still ended the year with a surplus of R1 092 297, bringing the total accumulated reserves to R19 956 689. 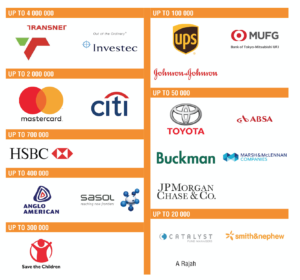 This reserve puts JA South Africa in very good stead for future expansion in the digital space. With 70% of the budgeted income already secured and good partnerships in the pipeline, we look to 2018 with great optimism. 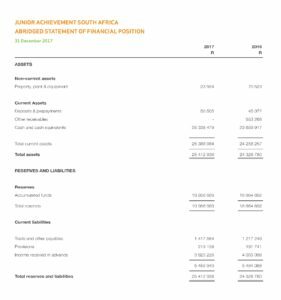 Please click here for the Abridged Financials and here for the Auditor’s Report. 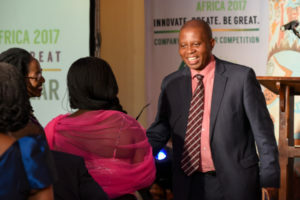 We were honoured to have City of Johannesburg Executive Mayor Herman Mashaba as our guest speaker at the Awards Dinner of the JA Africa regional Company of the Year Competition 2017. 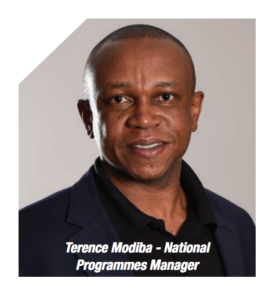 In this address, he talks about growing up in Apartheid South Africa and his journey to becoming a successful businessperson. He succeeded against steep odds - going so far as to defy the law by starting a business as a black person when it was illegal to do so. 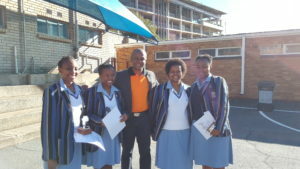 He also inspired and motivated the students to follow their own path and carve out a future for themselves, particularly within the context of widespread youth unemployment. 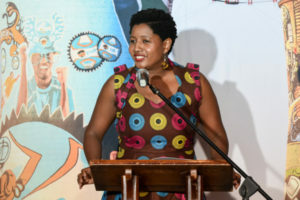 The event was graciously MC’d by radio host, actress and producer Relebogile Mabotja, who introduced the mayor.